Vertigo Steps is the project of Portuguese multi-instrumentalist Bruno Saram�gico de Almeida, and Surface/Light is his third album. His brand of heavy rock, with layers of ambience and atmosphere, melody and stinging guitar, should appeal to fans looking for an intersection between Katatonia and Muse. Vertigo Steps: in a happier mood. Generally, the character of Surface/Light feels heavy and dark, or melancholy and brooding. There's seems an inherent sadness under the surface, a sadness that doesn't allow for much light. But conversely there's a vibrancy that arises even within this context, notable on songs like Railroads, Helsinki, or Someone Like You. Then a tune like Zeppelin on Fire seems to turn on a pure up tempo rock groove, dismissing the aformentioned observation. So then the song composition is intriguing, enough to cause the listener to listen more than once to any particular song. But Surface/Light should probably be listened to as a whole from beginning to end. There's a definable measure of continuity here, whether from the undercurrents of ambience or the edgier, yet melodic, chord structure. 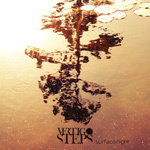 Vertigo Steps' Surface/Light is an engaging platter of edgier melodic heavy rock, lush with atmosphere, and nods to progressive rock. Not exactly my first choice in this category, but certainly surprising and entertaining. Recommended. 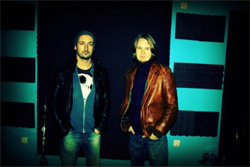 Vertigo Steps' Surface/Light is an engaging platter of edgier heavy rock, large atmosphere and ambience, with nods to progressive rock.